If you are holding out for a good price on NBA 2K14 for Xbox 360, here is a good one! 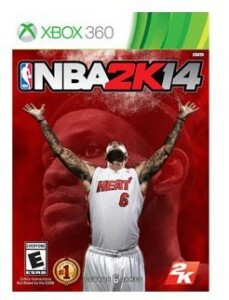 Amazon is currently offering NBA 2K14 for Xbox 360 for $34 (or PS3 here). Or you can grab it at Microsoft Store for $39.99. Shipping is FREE on orders over $30+ on Amazon or with Amazon Prime, and FREE on Microsoft Store. Prices are subject to change at any time.